Not sure what to purchase for your special gift? An eGift Card is the perfect solution for any occasion! Write your own special message when you order. Complete your purchase and an email will be sent to the person you choose with the amount, your special message, and the redemption card number for them to select a design they love. Order today! Gift certificates have no expiration date. 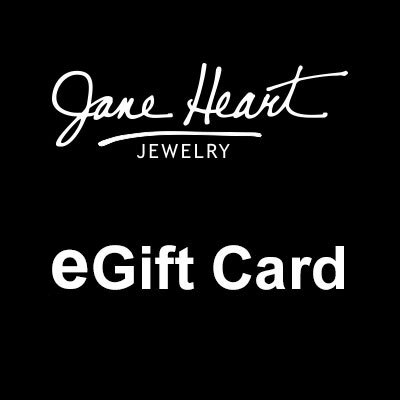 Amounts other than those shown are available by calling 1-888-703-0503 to customize your gift amount or email jane@janeheart.com. All email addresses are confidential and used for this purpose only.